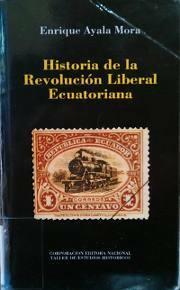 Enrique Ayala Mora’s “History of the Ecuadorian Liberal Revolution”. The historical liberals, with Don Eloy at their head, did not stay still with the expectation that a pseudo-liberal might possibly govern. Quito notables and military commanders worried that the president would be a Guayaquil civilian. Hence the pre-election season gave rise to a series of acts of agitation which were dubbed “the Fronde” out of desire to draw parallels with the history of France. A meeting of the Liberal Junta of Quito, which despite Garcistas having been invited (as the partisans of Don Lizardo were called), they nevertheless did not attend – resulted in a decision to convene an assembly of national character to appoint a single official candidate of liberalism for the election. This recourse was intended to safeguard the “unity of the party”. The proposed assembly would meet in Quito in August and thirty delegates would participate in it; five groups of six named from each of the diverse factions of liberalism: Eloy Alfaro,. Manuel Antonio Franco, Leonidas Plaza, Flavio Alfaro, Lizardo García. Plaza realized that in such a meeting with so many representatives Garcia would be defeated systematically. Therefore he tried to boycott it. He declined the invitation saying: “No way can I mediate in a clearly electoral effort, not only because the law forbids me but also because an intervention of this nature distorts fundamentally the freedom to vote and to cede.” All of which did not prevent him, incidentally, from sending circulars to the governors recommending that they elect Garcia. This, in turn, also did not accept the invitation. Plaza put enormous pressure on Flavio Alfaro, pressuring him to refuse to attend with his delegates, but he failed in this effort. Flavio announced his acceptance after which the President removed him from his Ministry in the midst of a scandal involving offenses, confessions, and accusations among compadres. This enhanced the scandal and expectation. Alfaro resorted to full-time maneuvering. The Constitution of 1897 did not permit reelection to the presidency before the lapse of two full terms. Alfaro therefore could not be a candidate. Don Eloy and Franco agreed to attend, with the decision of Flavio and a majority of the 30 members scheduled for the meeting was reached. On August 16, 1904, with the attendance of 18 Delegates, the meeting was settled. It consisted of well-known leaders, among whom were several members of the judiciary but the overwhelming majority of them were highlanders (“Serranos”). The 25th of August was set for the last session of the Assembly. That day several groups led by the government provoked an upheaval in the streets nearby. Simultaneously the authorities ‘guaranteed’ calm with an impressive display of strength. But anyway, “the Assembly -as its participants maintained- opened the session with the majesty of Roman senators; they approved the previous minutes and proceeded to elect the candidate who was so desired by the liberals. One single name came from the lips of th eighteen delegates – that of the worthy senor Don Ignacio Robles”. They then appointed a central committee which they empowered to organize the party in the provinces. It was made up of Franco, Flavio Alfaro Jose Maria Bola, Lino Cardenas, Francisco Aguirre, Emilio Maria Teran and Abelardo Moncayo. I. Separation of Church and State – expulsion of the Religious communities and confiscation of the properties of the Dead Hands. Emancipation of women, freedom to make a will, reduction of the marriage contract to a simple and uniform form, enlargement of the grounds for divorce to the point of the declaration by the spouses before a competent authority. Full secularization of instruction, Suppression of the Censors of the Press and suppression of all the laws that tend to constrain freedom of thought, suppression of the Constitutional article that declares or recognizes a State Religion. For the second time after June 5 of 1895, there was a smooth presidential transition without the law having been broken despite the agitation and protest. But in 1905 it already seemed to be a long time ago that the liberal avalanche had struck down Progressivism. The Plaza government itself was a symptom of liberal cracking. Since the beginning of his administration and throughout it, Plaza sought to broaden the political base of his government by integrating the notables of the coastal oligarchy that had backed Garcia. At the same time he kept a number of collaborators of the former regime and secured the backing of several “franquistas” (supporters of Franco) that helped control the army. Thus he managed to consolidate his support and isolate Alfaro and his closest circle. The non-intervention policy toward Columbia managed to neutralize and finally destroy the conservative threat from the north. But the president went further; he also gave several public offices and even whole sections of administrative departments to conservatives willing to cooperate. This is sometimes seen as a contradiction since the government of Plaza made the most radical reforms of the secular State before many of which Don Eloy himself had hesitated considering them very premature. The question becomes clear however when we consider the strategy of President Plaza, which concentrated the attack against the interests of the Catholic Church while offering guarantees to the landowners of the highlands. Isolating the clergy as the objective, he managed to promote the political-religious reform and ultimately to precipitate the church-state rupture. But at the same time the government agreed not to attempt any reform of the agrarian structure, to guarantee the repression of popular sectors and avoid systematically their mobilization. Now they were not speaking of the abolition of peonage as an urgent demand of the revolution but rather it was now made conditional upon the interests of the landowners and the necessity for greater repression of the peasantry. This is how it was emphatically declared to congress by the Minister of the Interior. For Alfaro and for the radicals in general, the enemy the revolution had to defeat was traditional Ecuadorian Society. Though he never managed to present a coherent project, this meant the secularization of the state and some reforms which would impact relations with the agricultural sector, the promotion of industrialization, even to the extent of supporting revolutions in neighboring countries, all with an active presence of the army, and of extremist intellectuals and grassroots militants. For Plaza, however, the political objective was the “emancipation” of the State from the Church, the curtailment of the power of the clergy, and of course some steps to modernize the state apparatus. All of which could be reconciled with the commercial bourgeoisie and bankers, with the traditional landowners, or at least with the most important sectors thereof. The condition was, however, to stop the movement, to reach power-sharing agreements and to promote civility, that is to say the government of one political class if we can refer to the enlightened people of the middle class that way. Hence for Alfaro it would turn out to be difficult to undertake at the same time all the tasks of democratization that radicalism entailed. But for Plaza, on the other hand, with a much more cohesive front and with the clergy as his more circumscribed opponent, the task of installation of a secular State was much easier. The degree of the anticlerical radicalism of the government of Leonidas Plaza, without a doubt more so than that of Alfaro, explains why much of the pro-Alfaro literature -and even some leftist militants- go to great lengths to ‘demonstrate’ that the laws of civil marriage, divorce, and religion issued from the Plaza government under pressure from the Alfaro movement, with at least one of them manifesting itself before 1900. The fact of the matter is that the impulse came from the Plaza government. The foregoing explanation helps us to understand why. At the end of the administration of 1901-1905 it was evident that there was open talk of an insurmountable breach in Ecuadorian Liberalism. The Plaza strain of Liberalism was a political force that gained coherence and strength. It’s spinal column was an alliance of key sectors of the coastal oligarchy, the bourgeoisie and the landlords, with a growing group of mountain landowners to which general Plaza himself was patently linked by marriage. This was effected through senora Avelina Lasso, a member of one of the richest aristocratic families, with holdings in several provinces, mainly in Cotopaxi, where they made some pioneering investments in dairy farming. Meanwhile, for his part, general Plaza amassed a great personal fortune. In the Plaza strain of Liberalism one would encounter nice people, investors, professionals, affluent merchants, old progressives converted to liberalism, businessmen, journalists and columnists, even conservative collaborators. All of them united by opposition to the Alfaro strain of Liberalism, the desire to civilize politics and return to stability. Plaza constituted the foremost and undisputed figure of that faction, which was certainly much more than a political clientele of a general. And the Commercial and Agricultural Bank was however, the institutional reference of economic power for the current economic policy. The bank escaped its difficulties with a new administration that set aside some of the characters that until then had directed it. And it turned out that the newly-appointed manager was none other than Don Lizardo Garcia, the presidential candidate who had been defeated by Plaza, that after four years of being his assistant he became the anointed successor. As expected the new president continued the way of his close ally. One of his first moves before the Congress was to request authorization to designate the General [ie Plaza] as diplomatic representative to the United States. Plaza abandoned the country then leaving his successor installed in Quito, a city where he was very unpopular. In fact he was a weak ruler of whom history remembers nothing other than his being overthrown a few months into his tenure. The same congress of 1905 that authorized and swore-in Garcia established a Commission for codification of Military Laws appointed to integrate the generals Eloy Alfaro, Jose Maria Sarasti and Francisco H. Moncayo. At this juncture, Don Eloy traveled to Quito where he was received with expectation. While there, he spoke with many people and also contacted members of the Army. The newly-appointed commission appointed Colonel Emilio Maria Teran as Secretary, a military man with grand political inclinations and good relationships. Teran and Alfaro together found an excellent opportunity to engage in conspiracy. Plaza had done everything possible to leave the troops in the hands of officers in whom he confided and had set up a presumably anti-Alfarista bureaucracy but the government of Don Lizardo had no power to stop the conspirators from penetrating the barracks. In fact, it limited itself to dismissing the public employees who had received Alfaro, which proved to be counterproductive. The weakness of the administration was compounded by the spreading throughout the capital of the idea that Alfaro was “a political corpse”. As Calle said “The wisdom of Plaza could not prevent the final blow and only the simple-mindedness of Don Lizardo could cause him to believe that the journey of Mr. Alfaro had for its objective a discussion of military matters with Generals Sarasti and Moncayo. Alfaro arrived in Guayaquil and despite the boycott of the government, they gave him an impressive popular reception. From there the conspiracy spread through his complex network of connections throughout the country. Following a prearranged plan, on December 31st 1905, Colonel Emilio Maria Teran, now military chief of Riobamba sent a telegram to Quito in which he announced a military coup in favor of Alfaro. The location had been very well chosen because the people of Riobamba were firmly confronting the government because they did not want the railroad to pass through their city. On the same night Guaranda rose in revolt. The next day, when they were searching for Alfaro in Guayaquil to take him prisoner he was already on his way to the highlands. After some days of rugged travel, he joined the insurgent forces and issued a proclamation to the army. The government was powerless to stop the events. Several other provincial headquarters folded to revolt, and several battalions sent to contain the opponent spent the cry of viva Alfaro. Several other provincial headquarters fell into revolt and several of the battalions sent to contain it passed over to the opposition with the cry of “Long live Alfaro”. Amid the confusion, the Garcia government proposed command of the army to Sarasti , which he refused. General Franco, in turn, agreed to conduct military operations against the northern rebels, led by Arellano. But the government fell. After the defeat of Chasqui, Don Lizardo resigned and took refuge in a foreign legation. The adversaries of the regime detained in the panopticon were set free and proceeded directly to proclaim the supreme command of Don Eloy who entered the capital on January 17th. Guayaquil remained without a decision. There, the Vice-President, Alfredo Baquerizo Moreno, with support of Plaza who arrived urgently from the U.S. on January 18th assumed the presidency and and appointed a cabinet composed of Cesar Borja (interior), Francisco Aguirre Jado (Foreign Affairs) Luis A. Dillon (War), Martin Aviles (Hacienda), Amalia Puga (Public Instruction). Don Ignacio Robles was appointed Governor of Guayas. He attempted to reinforce the garrison calling up reserves recruited from civilians but the barracks were insubordinate under the cry of “Long Live Alfaro” dragging with them sometimes the regular troops. The leaders of the uprising at the head of the mobilized people proclaimed on January 20th the supreme command of Alfaro and named Emilio Arevalo civil and military chief. Then a struggle began between a party of regular troops who defended Baquerizo and the rebel soldiers aided by contingents of the people who attacked the barracks. After long hours of shooting, the former gave way but there remained 418 dead between men, women and children. The majority of the dead were from the people according to historian Perez Concha. Although the political change had occurred in a short time, it was certainly violent and also very controversial. From the moment of the triumph of the campaign of twenty days, as its’ protagonists called it, Alfaro and his followers were severely attacked by the opposition, which accused them of having bribed or bought the coup from the barracks. Harman and the Railroad Company are specifically mentioned as providers of money, weapons and ammunition. Don Eloy denied everything, stating publicly, “a patriot of the capital gave me a small sum of eighteen thousand sucres, on loan in two payments, toward the great expense that the transformation demanded. …This is the only money I had at my disposal to make the events of the month of January.” Harman, meanwhile, also denied his involvement, but there is evidence of his active support of the revolt. Despite the support that the government of Garcia had in the circles of economic power, it became politically weak. Alfaro was able to overthrow him in three weeks with the motto of saving liberal reforms. As in 1895, in the revolution of December 1905, Alfaro was the outstanding figure. However this time he was not the leader of a consensus but clearly the leader of one liberal faction that rose up against another. Furthermore, the revolt had not been through the “pronouncement” of Guayaquil, the heart of liberalism, or another major city, but by the typical “coup” carried out in two mountain towns (Riobamba and Guaranda) known for their conservative tilt. It was the military garrisons that staged the event. The “pronouncements came after stocks of weapons or the desertion of the official army units. The city of Guayaquil was one of the last places to be taken. Also this time most of the notables of the port were against Alfaro, but, unlike the ’95, they now tried to block his access to power through a failed military resistance, which in any case claimed the lives of hundreds of people in the “mob” of the “throng” of the Guayaquil populace who remained firmly attached to the leader. Even within the limits of a general survey such as this, it is worth attempting a brief review of the social components of the new dictatorship, assuming of course that the interpretations which attempt to attribute the motivation to Alfaro’s ambition or to his evil intentions simply don’t explain anything. The key element of the success of Alfaro’s second term was, without a doubt, the presence of the military whose share of political participation was threatened by the “civilian” Garcia. The main effort of the conspirators had been to penetrate the barracks and to compromise the heads of the garrisons most of which were in the mountains. A second element was the presence of the “historical liberals”, the intellectuals of the movement whose radical anticlericalism was inconsistent with a nearness to conservatism. A third element was the participation of the grassroots of liberalism, mobilized by the figure of the ‘old leader’. Alfaro wrote to one of his lieutenants of the revolt: “…to the Indians let them know that soon I will be with you to finally reach our needed advantage.” The coastal oligarchy was mostly against, or at least away from the revolution. There was, however, a minority who actively supported it. In that sector there was clearly a group identified with industrial production. This adds a fourth element to the analysis. Finally, we should note also the presence of a fifth element, whose role was great: The Railroad Company, more specifically Harman, who needed a government that offered much more support for the conclusion of the work. The last months of 1910 were dominated by the political debate leading up to the presidential elections scheduled for January of the following year. Once again Don Eloy found himself trapped by the question of the designation of his successor. Just as in 1901, there seemed to be no escaping the internal liberal confrontation between military and civilians, moderates and radicals. Flavio Alfaro, supported by the better part of the army and radical groups, wanted to convince his uncle to support his candidacy but Don Eloy refused; he didn’t see him as a man capable of rightly governing the nation. He was also determined that the candidate should be a civilian. But this didn’t happen. Once again in the circles of the supporters of Alfaro (“Alfaristas”) the idea of a dictatorship was floated. This, they insisted, was the only way to avoid a civil war but they realized very quickly that this was very unpopular. Furthermore, Alfaro vacillated preferring the search for a civil candidate. In Guayaquil, Alfaro met with the “Junta de Notables” (“Group of Notables”) who put forth three names: Emilio Estrada, Carlos Alberto Aguirre y Alfredo Baquerizo Moreno. Don Eloy was inclined at first toward Estrada, his old and loyal companion in the struggle. In Quito there was a gathering of a different group of liberals opposed to Alfaro (“antialfaristas”). And so, after considering various names they decided to support Baquerizo. The names of Peralta, Luis Adriano Dillon, Franco and others also came up; but in the end the contest stood between Estrada, the official candidate, Baquerizo the candidate of the opposition and Flavio Alfaro on whom the military backing insisted. The knowledge of these results did not appease the political atmosphere. On the contrary, an atmosphere of instability dominated the scene when the distancing of Don Eloy with his successor and elected president became evident. A few weeks after the elections Alfaro arrived at the conviction that Estrada should resign. He had received information about Don Emilio’s state of health and it seemed evident to him that Don Emilio could not live in the capital without meeting his death due to cardiac problems. On the other hand, as some supporters of Alfaro maintain, the Viejo Luchador (ie: Alfaro) became aware too late of the enormous unpopularity of Estrada. Then Alfaro pressured Estrada to resign. This would facilitate the calling of new elections. Alfaro, for his part, left the power in the President of the Senate, Carlos Freile Zaldumbide, not without “offering him his sword” once again to keep the liberal order. For his part Don Eloy launched on parliamentary maneuvers trying at the same time to suffocate the agitation of the Barracks in favor of Flavio. But in the Army another conspiracy was afoot. This was much more dangerous for the regime than the one promoted by the supporters of Flavio Alfaro (“flavismo”). General Emilio Maria Teran had been engaged for a long time in an intense effort to get close to low forces and the troops of Quito. With this base he was preparing a coup against the state in his favor. But all this fell apart when Teran was assassinated by an old friend, Colonel Quirola. It was a deed that distanced public opinion. It was carried out in a hotel in the center of the Capital. Quirola had to be protected because the people wanted to kill him. They put him into prison. Although the author of the deed argued personal motives (a mess of jealosy), there are authors who insist that the crime was politically motivated with the aim of decapitating the insurrection1. The president convened an extraordinary congress for July 1911. The plan was to obtain through this congress the annulment of the election of Estrada and the convocation of new elections. In the beginning, the majority were in favor of the proposal for annulment but instead the call for new elections was not to be. The majority of the legislators were supporters of Flavio Alfaro (“flavistas”) and they wanted Flavio Alfaro, who had obtained second place, to be declared president. Don Eloy was against this design, although with indecision, following his initial plan. But at those points, a good part of his staunch supporters were now his opponents; among them Freile Zaldumbide. The proposition of creating again the position of general commander of the Army for Don Eloy was floated in Congress by an ample majority. The rumor that Alfaro sought a Dictatorship intensified. And truly it appears that many of his closest collaborators and his children, labored actively in this vein. The National Patriotic Council has been stunned with inexpressible surprise that some senators and representatives seek to annul entirely the January elections arguing that they were implemented without the freedom guaranteed by the Constitution. The Ecuadorians remember well that the Board wrote the government suggesting that the success of our war with Peru demanded extensive freedom of elections so that the people might raise the most worthy citizens to the presidency. The suggestion, to speak truly, went unheard, even among the present Senators and Representatives. But to us it does not follow to appeal to the constitution while impeding freedom of sufferage because the same constitution does not allow it. The Senators and Representatives that propose annulment of the elections proceed on the erroneous, absurd, and very dangerous assumption that the Congress is the absolute sovereign. In the republic there is no higher sovereignty than the nation. The Ecuadorians all fervently wish for peace but we cannot, in order to preserve it, sacrifice our honor, our liberty, our institutions accepting a dictatorship that converts the republic into fiefdoms. As for me, I am ready to serve my country as a devoted citizen. I will retire from power at the term set by the constitution, committing the fate of the republic to your hands and into the hands of all those who truly love it and who yearn to sacrifice themselves to save it. I speak for perhaps the last time, and you should allow me to express to you that I have never harbored those ambitions that political enemies attribute to me and if I fought for many years against the Conservative regime it has been for the just yearning to see my country free, to establish true democracy, to break the chains that [instead of liberty and civilization] oppressed my fellow citizens. If I have done my duty history will tell, but my intentions have not been other than to loyally serve my country sparing no sacrifice. Far be from me the vulgar idea of aspiring to dictatorship and to remain perpetually in power. This did not reassure the opposition and the next day, August 11, new rumors of a coup against the state by Don Eloy precipitated the action of the barracks that were committed to Estrada. At noon from various military units in the capital arose the cry of ‘Long live the constitution! Down with Alfaro!’ There was a moment of confusion in which no one knew what to do. Finally a decision was made to give the reins of power to the president of the Senate Dr. Freile until August 31 at which time they would be transferred to Emilio Estrada. The “Viejo Luchador” and several of his colleagues left the national palace protected by the Chilean Minister in Quito, Mr. Eastman. A crowd threatened and insulted them during this short trip to the Chilean Legation in which Don Eloy received asylum. From there he sent a communication to the Senate giving up the presidency. ‘As an Ecuadorian and Patriot I say that I do not desire that a single drop of blood be spilled for my sake.’ On August 11th, according to an Alfarista witness the Viejo Luchador became the victim of the treachery of his own troops and Quito was the scene of the greatest horrors and thefts when the soldiery united with the malevolent elements of the populace truly reaped a grim harvest. Within hours disturbing news arose. General Ulpiano Paez, loyal to Alfaro, advanced on Quito with five thousand men to enforce the maintenance of the constitutional term of Don Eloy. He, however, requested in writing that he desist from his efforts to prevent bloodshed pointing out that the new government left him in peace with assurances that Alfaro could leave the country in peace with all guarantees as indeed happened after a few days. It was a quiet and hard retreat. The days of victory were remote. ‘His’ army had failed him; the notables of liberalism had distanced themselves from him; many of those who wronged him in his last exit from the palace were the populous, the mob, who cheered him in another time. He resolved to stay away from political activity and live his last years in Panama or elsewhere in Central America. Translator’s note: After Alfaro’s departure, President Estrada took office in September 1911 but he died due to heart problems three months later on December 22, 1911. On the very day of the death of Estrada, an uprising in Esmeraldas proclaimed General Flavio Alfaro supreme commander. The government then tried to secure the loyalty of General Montero, military commander of Guayaquil who initially appeared inclined to support Freile but his attitude changed within days. On December 28th he proclaimed himself Supreme Commander ignoring the government of Quito. Immediately he organized his cabinet: Manuel Tama (Interior), Modesto Chavez Franco (foreign affairs), Alfonso Arzube Villamil ( Public Instruction), Juan Borja (Agriculture), Francisco Martinez Aguirre2 ( War and Navy ). Montero cabled Alfaro immediately “Following your advice not to let the liberal party falter I have accepted that the people have nominated me as Supreme Commander, but always under orders from you and I hope that you come on the first steamer so that I can hand over the army to you.” The Viejo Luchador (“Old Fighter”), setting aside his promise to abstain from national politics accepted to come but declared his intentions: “I desire a private life but from my duty to serve the will of the people I prefer to serve as a mediator and peacemaker.” The intervention of Don Eloy came to strengthen the movement of Montero but instead it put him into direct conflict with Flavio Alfaro, severely distanced from his uncle, whom he considered the cause of his defeat at the polls. Flavio went to Guayaquil where he had supporters and after delicate negotiations accepted the appointment of Chief General of the army and supreme director of War, recognizing Montero as Supreme Commander of the Coast. Under pressure from Flavio it was agreed that Don Eloy (ie: Eloy Alfaro) would remain outside the political and military leadership. The Old Fighter arrived in Guayaquil and immediately undertook the task of seeking a settlement. In a statement to the country he proposed “A judicious agreement to raise a civilian to the first Magistracy of the state.” He sent letters to the three governments with the proposal insisting that “For the most successful outcome of my mission of peace it is essential to dispel the shadow of suspicion of personal ambition on my part, and for that reason, hinted at the desirability of looking at a civilian candidate for the exercise of power.” But at that moment, Alfaro lacked the authority to exercise any mediation at all. His proposal was seen even among the rebels as a recourse to distract attention. Freile and his government would not hear of negotiation with the rebels and the army moved to stifle them. Plaza was named general in Chief, Julio Andrade, Chief of Staff. Despite rivalry between the two – both aspired to the presidency of the republic – military operations were not impeded. In fact Plaza let Andrade lead without interference. In Quito and other cities of the mountains, the turmoil caused by the Anti-Alfarista press reached very high levels. Even from Guayaquil groups of people departed willing to enlist in the constitutional ranks. The Armies met for the first time on January 11 at Huigra. Andrade won that battle. Coronel Belisario Torres, Chief Operating Officer, was taken prisoner. They murdered him later in Quito as he was being brought to prison. On the 14th Plaza overcame an enemy detachment at Naranjito. The two armies finally met in Yaguachi on the 18th. After one of the bloodiest battles in the history of Ecuador, the constitutional forces remained masters of the field. The commander in chief, Flavio Alfaro, wounded in one leg retired to Guayaquil with the remnants of his forces. At that point Montero pressured Don Eloy to accept the position of Director of the War. The appointment, however, unleashed internal division. Several ministers resigned and Flavio Montero protested the breaking of the agreement to keep the ‘Old Campaigner’ on the outside. But the urgent need of the moment was finding a solution that would prevent a new battle. For that several notables of Guayaquil came forward and convinced the consuls of Great Brittan and the United States to participate as mediators. After several talks an agreement was signed on January 22 in which Montero pledged to cease hostilities, disarm his army and hand over the field in exchange for guarantees that he and his bosses would be able to leave the country without difficulty. The two consuls acted as guarantors of the agreement. Montero kept his part of the agreement but could not prevent a shot from emerging from the flavista3 group of the Esmeraldas batallion who refused to surrender their weapons. This would be alleged by the anti-alfaristas as a violation of the agreement. This in any case was not respected by the army officer who immediately occupied the city. The Generals Eloy Alfaro, Manuel Serrano and Paez Ulpian (these two had not taken part in the revolt) were taken prisoner. Montero, on finding out about this voluntarily surrendered to share the fate of his leader. Flavio Alfaro was also arrested later. The group was later joined by Medaro Alfaro and Luciano Coral, editor of “El Tiempo”. Before the arrest of the leaders and the rumor that they had been sent to Quito to be judged, the consuls that had guaranteed the agreement insisted to the governor “to comply with the provisions that the city of Guayaquil had committed to.” But the government argued that Plaza lacked the authority to offer any guarantee and that the rebels had not even fulfilled the terms of the agreement. “The national interests” – said Freile – “social justice, the whole town cry out and demand punishment”. The Foreign Minister, Carlos R. Tobar, started a diplomatic incident to protest before the respective governments against the “inexcusable meddling” of the consulate in the domestic politics, getting them to abandon their demands for the implementation of the agreement. Within a few days the minister of War, General Navarro, arrived in Guayaquil, insisting on the order of not liberating the prisoners. Plaza then carried out the orders: “Obedient to the requirements of superiors”, he says, “I dispatch the general order of prosecution of General Don Pedro J. Montero, the only one of the prisoners who is subject to military jurisdiction.” The trial was carried out in an atmosphere of agitation and aggression fueled by the recent experience of the battles or Yaguachi and Huigra, and the fierce press campaign. The result could not be otherwise. The court sentenced Montero to sixteen years in prison and public degradation, in view of the fact that the death penalty had been abolished. The crowd congregated in the hall protested the judgment demanding the firing squad. Then a soldier killed him with a shot in the forehead. The body was taken to the streets, dismembered, drawn and finally incinerated in a square. Plaza talked to Don Eloy and pledged to prevent his trip, even offering the renunciation of his functions. Indeed, he telegraphed to Quito that the trip of the prisoners was not convenient since the murder of Montero had calmed somewhat the public anger. The order of Navarro and Freile, however, was maintained. Plaza presented a timid resignation which was not accepted. He left for the pacification campaign in Manabi telegraphing beforehand to Archbishop Gonzales Suares asking him to prevent a second murder. “I appeal to your human and Christian Sentiments requesting that you use your influence in favor of the prisoners of war… Watch over the life of these men so that Justice will do its duty…” Plaza prudently retreated to the safe outcome of events. Many have argued that Plaza secretly plotted the assassination. For this they present as testimony a telegram from the day before the entry into Guayaquil in which he insists that he does not want the “ringleaers” to escape. What it would prove is that he never wanted to let them free. They show in addition the pronouncements of Placistas (supporters of Plaza) furiously demanding that the agreements not be respected. The analysis of the documentation, however can only impute to Plaza the failure to exercise his real authority to have freed the prisoners, since it was determined to be his word. Plaza eluded the event. He did not want to wreck his presidential candidacy, taking that measure. On the morning of the 26th of January, Alfaro and the other prisoners were embarked on the train that would take them to Quito. Minister Navarro was determined to make this trip happen saying that with it “lives would be saved”. He claimed to be motivated by safety concerns and was not prepared -as he said in a telegram to Quito- to order shooting of the people. The “Viejo Luchador” had to make his last trip in the trans-Andean railway, the monumental work of his life. As he sensed what was coming he decided to transfer for safekeeping the manuscript of his “History of the Railroad”, handing it over to Colonel Carlos Andrade. Finding himself in control, when Freile realized that the arrival of prisoners to Quito was imminent, he decided to order their return to Guayaquil. He feared the turmoil in the capital. So he telegraphs Navarro, Plaza and Colonel Sierra, chief of the Maranon Batallion, who accompanied the convoy escorting the prisoners. But Sierra refused to return to the port (ie: to Guayaquil) arguing that he was very troubled and that his men would not tolerate the return as they were wanting to return to their homes. Several efforts were made to replace the Maranon en route but nothing was acheived. A stop in Latacunga was a variation in the itinerary. With the delay of several hours there, the train would not reach Quito in the morning but by midmorning. There is controversy on this stop. Some say it was intentional, others say it was due to a malfunction. The train arrived at Chiriacu at eleven o’clock in the morning and the prisoners were taken immediately to the prison, sparing no resources for publicity. The prisoners were delivered to the prison. They were not there for long. The building was practically unguarded, as the colonel had expressly rejected reinforcements. Moreover, the few soldiers guarding the gates had instructions to offer no resistance. The crowd penetrated the prison and launched an assault on the cells of Alfaro and then shot him in the forehead. Paez, who managed to fire off a revolver that he had hidden, fell next following the others. A woman stabbed Serrano 5, then drank the blood from the dagger. They cut the tongue of the journalist Coral 6. Finally they killed Flavio Alfaro who was locked in a cell with a padlock. The government authorities did nothing to impede the act. Several people requested the intervention of Archbishop Gonzalez Suarez but the bishop refused. In the morning an an ‘appeal’ had been circulated calling for calm but it seems that the flyer had been sent for the purpose of selecting a conservative leader. Later the Archbishop would justify his abstention: ‘What they wanted was that I should come out so that they could attribute the death of the prisoners to me.’ In the afternoon, however, Gonzales Suarez came out into the street to soothe minds. The situation, however, had calmed down. From the very beginning there was a debate over the responsibility for the crime. The supporters of Alfaro (“Alfaristas”) blamed the government, Plaza and his supporters (“placismo”), the conservatives and the clergy. The Liberal antialfaristas blamed the conservatives; these accused the liberals en masse. The Freile administration simply tied the killing to the people. There are some who have said that the only one responsible was Alfaro himself. This not only reveals the existence of a systematic cover-up of the act but the complexity of it. Perhaps there will never be an absolutely clear answer but it is possible to advance an explanation, especially if the view the process as a whole. The perpetrators of the crime were visible in the plain light of day and many of them proudly reported their performance. Pareja Diezcanseco [chronicler of “La Hoguera Barbara”] mentions the henchman Cevallos the “butcher Joseph Chulco”, Rosa (alias la hennosa); la Pachacache, the cleric Serrano with a banner raised high, the Friar Bravo la Merced, the Potrancas, Adelaida Almeida, alias Piedras Negras, the son of La Pola. Pio Jaramillo Alvarado, in his indictment mentions Jose Emilio Suarez, Alejandro Salvador, Julio Vaca, Maria Monica Constante, Emilia Laso and Silverio Segura. By his own admission we must add to the list the conservative Luis Salgado who participated in the dragging (“arrastre”) and then hotly accused the “blindness of the masses”. But as Jaramillo Alvarado insists, the guilt of the accused is infinitely smaller than that of the government of Freile. The breach of the agreement of January 25, the insistence on bringing the prisoners to Quito, the orders and counter-orders, the vacillations of the trip, the transport by public transportation to the prison and the express orders to not contain the crowds that stormed the building, are eloquent proof that there was a desire, albeit conflicted, of getting rid of “El Viejo” [ie: Alfaro]. The minister Francisco Navarro publicly assumed responsibility for the order for transport to Quito. Needless to say, this was a clear death sentence for the prisoners. Despite his insistent defence, there are also very dark elements pointing to the participation of Minister of the Interior Octavio Diaz. Large sectors of the liberal leadership, with the most outstanding figures at the head, pushed for the punishment of the revolutionary leaders and their transfer to the scene of the murder. Among them were certainly many supporters of both leaders, Plaza and Andrade, now rivals in the recent presidential election. Various newspapers with placista tendencies [ie strong leanings toward support of Plaza] egged on aggressively against the Alfaros. Many supporters of Plaza (“placistas”) called publicly for the punishment of the prisoners and even for their physical liquidation. But with regard to General Plaza personally, it is clear that he called for the fulfillment of the covenant and release of the prisoners. This can be regarded as a mitigating factor. One of the strongest centers of agitation in the highlands was the conservative press. The overwhelming majority of the clerical landowner sector saw their chance to get rid of an old and dangerous adversary. It is no coincidence that the slaughter was consummated by the cry of “long live Religion!”. But all of the questions of the crime are not solved solely by the weight of attributing it to the government, liberal or conservative. It is clear that Alfaro became so unpopular within the Army that the soldiers themselves contributed to his death. Similarly, it is quite clear that the act was consummated by a popular explosion. Incited and manipulated, it is true, but the people on January 28 acted on their own motivations. It is certain that the oligarchy wanted to get rid of “El Viejo” [ie Alfaro] but it is necessary to explain the great success that was acheived in mobilizing the grassroots, the better part of whom had been supporters of Alfaro (“alfaristas”) until not long before. When Estrada died the defeated forces launched a counter-attack against the danger of a total victory by the supporters of Plaza (“placistas”). Don Eloy came, having been called by Montero, but the mediating document he proposed did not succeed. The reception for him in Guayaquil was very poor and not even in the rebel forces was he the recognized leader. His nephew Flavio who had taken on the leadership of the grassroots in Esmeraldas and Manabi was his open adversary. The Old Campaigner (“Viejo Luchador”) lacked the political space and arbitral capacity of former times. A contemporary wrote ‘Don Flavio told me “My uncle (Don Eloy), is unwilling to admit to his loss of prestige and he pretends to carry weight even now in the balance of politics, when the country knows that he has nothing to offer…” ‘ In the end he was but the symbol of defeat. The anti-Alfaro groups (“anti-alfarista”) whose strength was progressively capitalized by the pro-Plaza groups (“placismo”), to ensure the continuity of the Freile government, reflected the consensus established among the ruling classes of the coast and the highlands. The new partnership was able to control the army and now mobilize against the “caudillo”, the population that was instrumental in his murder. In 1895 the Liberals needed a radical leader to represent the break with the successive order of Garcia Moreno; a good military leader while simultaneously a leader who could mobilize the revolutionary enterprise of the popular sector. As one conservative writer states, “When Alfaro appeared on the scene the masses felt somewhat vindicated.” The triumph of the General of the Defeated7 signaled the moment of ascent for the transformation. His international reputation, his personal honesty, his enormous capacity for contact with the bases, his generosity and gift of command, all contributed to consolidate his leadership. Not only liberals, but his harshest opponents always recognized the patriotism, honesty, and “model” private life of Don Eloy. This must be one of the few points on which national historical opinion is virtually unanimous. The presence of Alfaro in power, however, had a price that the dominant groups, even the beneficiaries of the revolution were increasingly reluctant to pay. Don Eloy was committed to a program that not only intended to secularize the state but to press forward in its consolidation and modernization by way of supporting industrial development and to a certain point the liberation of the peasantry from the archaic relations of production. This alienated him from the support of the most powerful sectors of the bourgeoisie and large landowners and obligated him at the same time to rely more and more on the support of a complex and at times contradictory alliance that included the emerging industrial sector, the bourgeoisie, minority landowners, on the historical intellectuals of liberalism, the army, the popular liberal bases and the railroad company. This alliance could not last long and was decomposing rapidly until it fell apart when Alfaro forcibly left power in 1911. Popular mobilization and efforts at social reform were, of course, of limited proportions but they were sufficient to alarm the liberal and conservative oligarchy. There was always the fear that Alfaro would go farther. Hence the radicalism that was an advantage in 1895, transformed into a danger once the liberal reforms were consolidated and had given birth to the Lay State. Then it became necessary to get rid of the Old Campaigner [ie Alfaro, “El Viejo Luchador”]. But his elimination, spectacular and massively promoted, appeared in the midst of a popular mobilization. And it was only possible inasmuch as the social bases of support that had sustained the Alfaro movement (“alfarismo”) had abandoned him, altering the political balance. Popular groups, especially in urban areas – once a stronghold of the Alfaro movement (“alfarismo”) turned against him. The Alfaro movement (“alfarismo”) didn’t manage over time nor did it propose, to stop the effects of inflation, rising prices, and virtual freezing of the income that supported the artisans and workers. After three decades of unfulfilled expectations, the bases of the Alfaro movement abandoned him. Don Eloy himself had experienced rapid deterioration. By 1910 he was an old man with symptoms of senility. His decisions were increasingly the result of family influences and favorites, constantly involved in intrigues. The danger of international war in 1910 revitalized the Old Campaigner and restored much of the support he had lost. But this was in exchange for allowing his adversaries to organize into a Patriotic Junta, reclaiming political influence. The popular support of the “arrastre” [dragging of Eloy Alfaro], its applauders and satisfied testators, moved under the weight of their frustrations, the unmet expectations and the ultimate experience of civil war. Don Eloy was then a victim of his own historical role of revolutionary leader. He did not adjust to the new oligarchic pact that had consolidated but neither was he able to bring his political project to its most radical consequences. He was a leader trying to bring his program farther than the immediate interests of the class he represented, of a bourgeoisie not truly disposed to a radical revolution. He was a leader ahead of his time. He fell trapped without space for his subsistence. His political demise preceded his natural death. Much has been written about the authors and perpetrators of the murder of Old Campaigner. There will always be an element of ignorance of the details and specifics. Moreover, all the evidence reviewed suggests that, far from being a deed planned by a single brain, it was the consequence of a process in which various factors and interests converged, but there is no doubt that both the clerical-landowner forces as the power-magnates of the Guayaquil oligarchy, who rode on a wave of popular anti-Alfaro (“antialfarista”) unrest, drove the drama that led to its fatal outcome, which was said to be “the righteousness of God.” Beyond the names themselves, or perhaps with all the names together, the main beneficiary of the death of Don Eloy was the pro-Plaza movement (“placismo”) or better yet, what he had come to represent. The troubled history of church-state relations which started from the initial colonization times, continued through the period of Spanish rule and became more acute from the time of independence throughout the life of the Republic. This was a widespread reality in all Latin American countries, but, unlike what happened in most of them, the issue was particularly important in this country (ie: Ecuador), both because of the great power that the Church had gained, especially with the Concordat, and the due to the fact that the issue remained unresolved for a much longer period. This would explain, in large part the violence with which the conflict unfolded in the late nineteenth and early twentieth centuries. The Catholic Church in Ecuador, to which all Ecuadorians formally belonged with very few exceptions, was truly a powerful institution, because it maintained control over the educational system, held the right of censorship, was receiving special tax revenues, possessed extensive properties both in land and buildings, as well as cemeteries and artistic treasures. The clergy, however, was not particularly large. It was rather a small group with great power and above all, with great internal unity. This was the result of “religious reformation” of Garcia Moreno. The Vatican and the church hierarchy retained total control over the clergy. Although there were tensions, sometimes strong, between citizens and aliens, they never overwhelmed the ecclesiastical authority. Its influence, however, had come to be challenged for several decades, and, moreover, was regionally uneven across the country. In fact, the unfoldment of the ecclesiastical apparatus had occurred in the context of regional imbalance. In the highlands, where the seat was located in the Archdiocese of Quito and four dioceses (Ibarra, Riobamba, Cuenca, Loja) the clergy were more numerous and influential, and the Church had concentrated its landed property there. There has been no study on the subject since the data to be found in various works only include those lands that were nationalized and not those that the church held in its hands which were numerous. In any case, in this work we publish a table with data from the former, located in its entirety in the mountains. On the coast, were the two diocese of Guayaquil and Portmore (the latter not quite organized and almost without national clergy). There ecclesiastical influence was much smaller and its economic power almost nonexistent, since the Church lacked landed property of any consideration. Whereas in Quito and all the highlands in general, the bishops and church leaders were among the top political leaders (actually several of them were elected members of Congress), on the coast the clergy was limited to fulfilling liturgical functions and certainly were not part of the “Boards of Notables”. Of course they had ideological influence but this was far from being a monopoly. Many educational institutions and the press were in the hands of laymen, sometimes known opponents of the clergy. There has not been an adequate explanation of this phenomenon of the uneven regional development of the church which dates back to colonial times. Of course, the fact is closely related to uneven regional development of the landed oligarchic state and the progress of the institutions of the middle class (“bourgeoisie”) in Guayaquil and the coast but there has been no work on this specific theme. However the viewpoint that the coastal character is fundamentally irreligious does not seem satisfactory. Nor does the argument that the Church lacked ideological power because it was not landed and that one of the fundamental causes of its accumulation of land was its ideological influence, seem satisfactory. The better part of the ecclesiastical lands were the result of bequests and donations understandably made as a result of the ideological influence that the clergy had on the population. On the coast these gifts of property or money were much less important than in the mountains. A fundamental element of an adequate explanation would be the consideration of the fact that the socioeconomic structure of the coast required ecclesiastical support to a lesser degree than the highlands. That is to say that the productive relations prevailing in the littoral required a much smaller extra-economic element of cohesion to function. 1. Decree of the Dead Hands. 5. Freedom of the Indians. 6. Abolition of the Concordat. 7. Secularization of the Church. 8. Expulsion of foreign clergy. 9. Strong and well-compensated Army. 10. Railroad to the Pacific. The majority of these reforms attacked frontally the power of the clergy. They, for their part, perceived clearly what a liberal victory could mean. The minister Lapierre8 outlined in his famous report to the Constituent Assembly of 1896 the radical form of the confrontation on the religious question. A new agreement with the Vatican must have for its standard the separation of Church and State with subjection of the former to the civil power; the suppression of convents and monastaries, which are none other than sources of infection that reclaim from the public hygiene its beneficial action – the benefit of the the national wealth; the absolute prohibition of the immigration of religious communities; the allocation of pensions by the state for the subsistence of the priests charged with the administration of spiritual assets, and lastly, the establishment of civil marriage, perhaps one of the most prized necessities in society..
One of the concerns of Lapierre was an immediate ban on immigration of religious communities. Toward that end he provided a list of 35 of them that operated in the country. In general this minister represented the most militant strain of liberalism inasmuch as he wanted to dismantle the power of the clergy forthwith. But Don Eloy with most of his government did not share these extreme views. They were henceforth engaged in the consecration of the freedom of conscience and the suppression of the ideological monopoly of the clergy, but they believed that a violent confrontation with the Church would give more strength to the rebellion and increase instability. Alfaro was committed to a campaign of conciliation, preferring not to make any reform until the convening of the Constituent Assembly. He hoped that by this means the Vatican would accept the reformulation of the Concordat with certain terms of tolerance. The immediate concern of the government was getting neutralization of the clergy as agents of political opposition. Its efforts were directed toward that end but apart generic statements, liberalism could not structure a coherent long-term policy for defining church-State relations. The definitions were made on the facts and in the midst of tensions between the need to maintain the liberal principles and the expedience of not inciting a religious confrontation. Nor did the church accept the idea of a separation, insisting instead that its exclusive right to direct the morals and public and private conscience as its own autonomous sphere be respected, limiting the State to political direction – that is to public administration. Several constitutional provisions were in opposition to the Concordat. For the government it was clear that the Constitution should prevail over any other law or treaty. Toward that end they pressed for a renegotiation with the Vatican. But the Papal Delegate Guidi in his conferences with the plenipotentiary Cueva began by insisting “that the Concordat of 1882 be preserved intact and that the additional convention of 1890 be faithfully fulfilled.”. To this he added a long list of proposals that included the reform of the constitution and various laws, the restoration of powers of the clergy, and the return of the rebellious clerics. Guidi declared furthermore that he had “come only to study the situation of the Republic and its religious needs”. He claimed that he lacked any powers of reform. Given this position the plenipotentiary Cueva could do little more than send Guida a Memorandum reminding him of the clerical action in Ecuador. Then he made the document public. Nothing could be discussed. The attempted negotitaion failed. The Vatican knew of the clerical power in Ecuador and preferred to await the outcome of events. On the one hand one might think that resistance could vanquish Alfaro as it had Veintemilla years before, forcing him into total withdrawal. On the other hand, the triumph of the conservative revolt was an alternative not to be ruled out. In any case, the Papal Court considered that for the moment the the most expedient way to weaken the Liberal Government would be to continue the line, initiated by the conservatives, of protest and of demanding the return of the Concordat leaving unresolved the question of religion, which was favored to the alternative of armed struggle to regain power. This attitude was clearly reflected in the Vatican’s response to “burn time” while the government pressed for a settlement. Once again the Concordat was the focus of debate when Congress discussed secularizing reforms. The Liberal Theorists like Luis Felipe Borja thought that this type of documents ‘always refer to objects that relate to the very institutions of the people which depend on naught but national sovereignty, that cannot be the objects of any treaty’. Ecuador could legitimately generate laws that would be deemed convenient without fear of breaking the Concordat with the Vatican. In the conservative ranks there were some who continued to maintain that the Concordat was a law so special that the Constitution itself should respect it. There were also those who without endeavoring to discern it demanded that the government should respect a treaty with the Church, a legal entity of international law. But the situation was occurring in terms that did not allow a settlement. The government was not disopsed to cede a total setback, neither did the church wish to stop the religious war, but only to change it. When the secularization of the Ecclesiastical income was passed the clergy revived the payment of tithes. A year later the call for the Law of Patronage was raised. As a means to control the church, the liberals dusted off a colonial institution, interpreted at the beginning of the republic as an hereditary right acquired by the Spanish Kings. Under the new law, the church was subject to the state as part of its organic fabric. It limited the operation of its religious communities and the management of their properties, regulated the nomination of bishops and other hierarchs through state agencies and established for them a constitutional oath to recognize their functions. On the other hand, it affirmed the suppression of the church taxes, prohibiting their collection, determining at the same time the obligation of the government to maintain the official religion. The Law of Patronage provoked massive resistance from the clergy and was scarcely applied but it remained as a weapon of oppression and a bargaining chip with the Vatican. When Congress issued a decree revoking the consecration of the Republic to the Heart of Jesus, it seemed as if the rate of change would not stop. On the other hand, liberalism had demonstrated a capacity to suppress the resistance and the conservative invasions. Then the Vatican bowed to government pressure and agreed to the proposal of Bishop Gonzales Suarez to enter new negotiations. It was a triumph of the moderate wing of the local church whose most reactionary sectors who had pursued in 1901 the last serious effort to organize the armed invasion from the north. It was also a success for the government which thus could calm the opposition with it while facing the conflict of presidential succession in 1901. The Santa Elena Conferences reached very limited agreements. The first agreement established that the sum of S/.245.804,67 destined by various laws for the service of the religion was the exclusive property of the Church. The second determined that the Catholic cemeteries remained in the hands of the Church allowing the establishment of private cemeteries for the other religions. In practice these were a disaster for the government and a triumph for the Vatican. This in return for minimal concessions assured in the first place the provision of revenue and reacquisition of the cemeteries accepting certain limitations on the control of church property. But in the end it did not cede the governments claim for recognition of the principle of Patronage, citing as a condition for agreement the reinstatement of Catholicism as the official State Religion which for the Liberal government was a principle just short of suicide. Gaspari also called for the restoration of several ecclesiastical prerogatives in education, the right of the clergy to be elected, and others. They also agreed on a complex ad-hoc procedure whereby Vatican bishops would nominate bishops in vacant seats, circumventing the Law of Patronage, but conditional upon Congressional ratification. The representative of the Pope was undoubtedly a very skilled man. Gaspard was one of the most skilled members of Vatican diplomacy with vast experience in these matters. Years later he became the ‘Secretary of State’ and one of the architects of the Lateran Treaty signed between the Vatican and Fascist Italy. But the fundamental reason for his success was the fact that the government had then the immediate interest of counting on recourses to stop the clerical reaction through the restoration of relationships, but as noted by Tobar, it had no fixed criterion in the field. It was rendered more difficult as they were trying to conserve relations with the Church while at the same time trying to maintain anti-ecclesiastical reforms. Peralta was aware of the extent of the concessions and when presenting them to the Congress he was careful to defend “the inherent rights of national sovereignty claimed by the Law of Patronage.” The agreements of Santa Elena, as stated, were not ratified by Congress and suffered a severe attack from the liberal press which claimed that Peralta humiliated his county before the Papal See. This argument against those who brought up the rupture with the Church that they involved “an express waiver of national sovereignty; when once the church has to conserve its independence and supremacy against the Church itself, in everything that is said regarding private and public law, by reason of its being the only source of authority and law. Adding furthermore: And in Ecuador, no less than in any other Catholic Nation, the separation of the Church and State is possible. Many of the adversaries of the agreements, agreed with Peralta that the separation, that is to say the loss of State control over the Church was dangerous, at least as Calle said, “until the change the nature of our people, or elminate the clergy as an element in political struggles.” But then it became clear that the church would resist any attempt to enslave it. The solution of constituting a national church after the English and Scandinavian model was not feasible just to please various radicals. They opted to follow a newly obscure path which was ultimately aimed at disarming the Church, depriving it of its bureaucratic power and the management of its property, committing the government -at least for a time- to cover its expenses. “Let’s pay, insisted Calle, for to receive money to live is a sign of dependency”. For some years, the government paid as regularly as the situation allowed, the budgets of the various dioceses. These were to be previously approved by the executive. At the same time the efforts of the clergy to continue collecting tithes and first fruits, especially from the peasants were suppressed with relative success. But the promised right of appointment of bishops was not realized. When the Minister of Religion asked the Papal Delegate to process the appointments of apostolic administrator of Loja, Cuenca and Portoviejo as religious presented in accordance with the Law of Patronage by the President of the Republic the response was affirmative but insistent that the appointments had been made without taking into account the recommendations of the government. To which the minister replied: “The state, without the Concordat, must proceed according the prescriptions of the Civil Law.” When, a few months later, the government requested appointment of bishops from two of the ones that had been recommended, the answer was the same: “The Holy See has more than once declared that under no circumstances can the Law of Patronage be accepted.” The Vatican sought an arrangement similar to that reached with Peralta in Santa Elena but the government at this time was more firm and was unwilling to abandon the law. The negotiations remained paralyzed. In reality, President Plaza pursued a more clearly defined and radical course with respect to the Church. It seems that his intention was to go to the end with the project of subjecting the church to Civil control or to provoke a controlled rupture. Indeed, he advocated “Explicit recognition that the church does not take place in our body politic and that its officers should consider themselves as subjects of a foreign power and that they should be treated subject to that rule.” Moreover he was convinced that religion could not but be a “human manifestation” that unfolds within the state. Considering the church as an “imperialist state” and the priests as its conquistador legions the proposed expulsion of religious communities was a matter of national sovereignty. In short, they came to this conclusion: “We must break the link that binds us to Rome because Rome cannot be our friend from the moment we have discovered how to be free and do without it.” Plaza however also did not arrive at the proposition of a “National Church”, and in practice his government was tolerant. But the reforms, however, were vigorously implemented. That’s how it happened with the laws of Civil Marriage and Divorce and later with the Law of Religion (“Ley de Cultos”) designed to regulate with rigid norms the life of the Church and the administration of the properties of religious communities. The law established guarantees for the exercise of any religion but forbade the immigration of religious communities, the foundation and operation of new novitiates in the monasteries called “de clausura”, limiting the number of the latter in every city and placing them under the control of the department of health. In addition, foreigners were prohibited from the exercise of any religious authority. On the other hand it was declared that all church property was subject to taxation, that their sale could be authorized only by Congress, and that thereafter they would be leased by auction conducted by each board of Finance after evaluation of inventories and appraisals. The proceeds of the leases would be issued to each religious community and the surplus, if any, would finance the expenses of worship, extraordinary expenses or charity, in that order. The implantation of the latest reforms, apparently irreversible, led the church to precipitate a breach. So many of the Vatican Diplomacy as the most splendid portion of the national clergy felt that here as in many other countries in Europe and Latin America the moment had arrived at which it was preferable to accept the “evil” of separation rather than to continue defending the principle of unity when this meant in practice a constant disruption of ecclesiastical affairs. When it came time to replace the late Archbishop of Quito, the Vatican directly proceed to appoint as successor the Bishop of Ibarra, Gonzalez Suarez, without any consultation with the government. Aside from the fact that he was the only bishop remaining in the country, the appointee was a confidant of the Vatican and he also had good relations with Liberalism. It was assumed therefore as the Pope himself said that he had “double and efficacious support”. But the newly installed supreme commander Alfaro was forced, very reluctantly, to refuse the appointment because the Law of Patronage had been ignored. In our view there are two possible solutions to the religious question: return to the ancient ‘Law of Patronage’ with all its drawbacks and while freedom of religion becomes established in popular centres so that the catholic clergy acquire its own independent life, or the separation of Church and State, also with all the difficulties inherent in such a political system. The assembly opted for the latter alternative and avoided, for the first time in history, establishment of a state religion decreeing instead considerable freedom of religion and conscience. Thus the Catholic Church and their organizations (dioceses, communities, brotherhoods, etc) remained without their special privileges, without legal status, incapable of legal actions or of maintaining or acquiring property wherewith to exercise representation before the state. Religious institutions rapidly acquired legal status of a private character which allowed them, among other things, to keep their property. This was, for example, the case of several dioceses that retained a good portion of their estates, formally belonging to foundations or civil corporations, established for educational purposes to maintain the seminaries. These legal entities were established by the authority of the civil code, principal regulator of private law. As the constitution left ecclesiastical institutions unincorporated, they rejected their legal status, placing them in the private sphere with the recognition of that representation. In various cases, outstanding citizens ‘Lent their names’ to integrate the agencies required by the code. In 1906, the ecclesiastical question was defined. In subsequent years, however, they found several reasons for further confrontation. In 1908 state intervention in ecclesiastical property destined for charity was legalized. There was also a conflict over the attempted possession of the diocese of Manabi by the bishop designated for her by the Vatican years earlier. In 1910, bitter disputes were opened over the expansion of Divorce. In general, Liberal Governments could not see a way other than legal separation of the Church given its political and ideological power and they limited it with the use of health provisions and police to prevent public worship and the politicization of such acts. Also by this means they prevented the establishment of private religious educational institutions that would rival the state schools. After a decade of fierce fighting subjection of the church by the State had not been reached, nor return to the relations of the Concordat. What was imposed as a possible solution was what is now called a controlled break, which involved the legal independence of the church, in exchange for the loss of their official status and part of their property, as well as the validity of state norms intended to limit the political action of the clergy. The revolution reached that point. Throughout the entire preceding century the interweaving of the church within the state also meant implied also the subjection of the state to ecclesiastical legislation. Even after the Chilean Civil Code was adopted as Ecuadorian Law, important aspects of legal life continued to be regulated by Canon Law. Birth, death, marriage contracts were considered acts of religious character; they were solemnized by the clergy who kept the registry of the facts and legalized them for civil and political effects. The Church documents were necessarily recognized as official from the standpoint of the state. Liberalism had been arguing against this, so that when they took office they tried to change the situation into two alternative options. On the one hand the intent was to subject the official Church to the state and in this way maintain the clergy as employees subject to the civil power to undertake these functions, after the model of some European Countries. But on the other hand to take from the church the management of marriage and family relations. “Until when ought the state to refrain from involving itself with a great evil, born and entrenched through her negligence, which made a foreign power discharge all that concerns the right of procreation – the greatest of rights? The First step that Liberalism took to change the situation was to create a Civil Registry which began operations in 1901. Although the reform was viewed with suspicion by the clergy, they offered none of resistance that had been expected. The difficulties arose more when the effort was made to create a huge and costly bureaucratic structure. In addition to the central statistical office of Quito, offices were created in each district and parish which meant an increase of more than eight hundred new public employees and their respective teams. After a little more than a year of dealing with the problem, it was decided not to maintain the registry under special officers but rather to maintain political leaders in each county and political deputies in each parish. However as already indicated these officials had to be originally paid by the central government, but instead savings were realized in operating costs and more importantly they managed to establish a more direct dependent relationship with the Executive thereby significantly broadening its powers. Ultimately the bishops requested that the Ecuadorian Catholics, invoking their constitutional rights, should request the repeal of the law. Meanwhile they decided to suspend the celebration of marriage except in cases of extreme urgency. The government meanwhile applied the law strictly and provided heavy penalties for those who did not comply. Until the Congress reconvened in 1903, the situation remained in suspense and very few marriages were celebrated. When the Legislature adjourned without having modified the law, the Church had to give up and allowed the celebration of church marriages after the civil ceremony declaring that they were “tolerating” the situation imposed without accepting it. The Bishop of Ibarra, Gonzales Suarez was the first to order the resumption of marriage ceremonies after having carefully issued instructions to the priests and to the faithful on how to comply with the law, declaring beforehand that he gave no value to the civil ceremony “in conscience” and that it was being done to avoid penalties and so as not to harm the children that would come [from these unions]. This attitude, in practice, contributed to the implementation of the reform and helped the government. It was strongly opposed by the most extremist sector which sought to prolong the resistance. In 1910 a legal reform that broadened the grounds for divorce was discussed and approved. The Catholic hierarchy and womens groups throughout the country launched a bitter campaign against both the new law and against the institution of divorce. But then although the Ecuadorians who had been able to obtain a divorce could be counted on one’s fingers the registry, civil marriage, and divorce were already a “necessary evil” that the clergy and public opinion in general had come to regard as irreversible. The Church however retained sufficient ideological strength for many years and to some extent up to the present so that a widespread social rejection persisted toward those who did not opt for a church marriage or who legally dissolved it afterwards. The ideological monopoly that the Catholic Church managed to keep from Colonial times through most of the 19th century in the Republic was not an exception in Latin America. In reality this was the general situation in all the countries colonized by Spain. But in the case of Ecuador not only did this control remain rigidly imposed, but it was reinforced by the movement of Garcia Moreno and by the political power held by landlordism (“latifundismo”). The liberal reform therefore took place late comparatively with most of the Latin American countries but when it broke out in 1895 it generated a conflict that is the object of this study in the midst of which the state attacked with unusual strength against a church at war. What in other areas was the subject of early engagement between governments and the Vatican, was in Ecuador the subject of fighting with no room for compromise. In a word, the very strength of the clerical monopoly precipitated the violence of the liberal rupture that emerged as a response. Who were the Goths (“godos”)? The 1895 Coup marked a change of regime but it also meant a realignment of the forces of the Garcian Succession [ie: succession of the supporters of the Garcia Moreno movement]. The two streams into which this movement had divided, the “terrorists” (identified with the Republican Catholic Party) and the progressives (who retained the original name of the Republican Union) had to overcome their bitter differences to jointly tackle the triumphant Liberalism. That unity certainly was not easy. The terrorists, with most of the clergy in their favor pushed for the most violent and uncompromising opposition. Progressives were more inclined toward opposition by transactions. Some of them liberal catholics at long last, ended up calling themselves lukewarm liberals and eventually came to swell the ranks of the victors. But the majority continued considering themselves conservatives largely because despite their differences all were seen in the end as ‘goths’ (“godos”), a popular way of referring to conservatives going back to the time of independence. But who were the Goths? This also is a somewhat difficult question to answer because its social composition was heterogeneous and its organizational forms complex although they did not constitute a party in the modern sense, as has already been observed. Conservatism was the political expression of landlordism especially in the highlands. In their ranks were to be found -sometimes confronting one another- large landowners of the country, owners of whole sets of farms which sometimes exceeded the limits of one province or another. They were small groups colloquially connected with groups based in Quito and to a lesser extent in Riobamba, Cuenca and Loja. By the late nineteenth and early twentieth centuries, several large landowners had modernized their textile production centers, as we have seen, and had also dabbled in banking and other instruments of financial intermediation. Also on the coast there were conservatives among the large landowners but these were neither important numerically nor were they the most prominent of that social group. The conservative core was based principally in Guayaquil consisting of some mid-level farmers and professionals. In fact the small size of this conservative group of the coast contrasted with the amount of liberal large landowners of the highlands that, although a minority, were much more powerful and representative. The large landlordism dragged behind in the conservative struggle of mid-level landowners who were the small local aristocracies of the small provincial landowners who were also professionals, fulfilling bureaucratic functions, or had interests in interprovincial commerce, farm operators, shopkeepers, porters, and in general intermediate sectors of some small-town importance. A fairly large conglomeration, as we can see. The most important social base of conservatism, however, was the artisans. They were numerous in the provincial capitals and county seats; they had an effective organization that permitted their mobilization and above all had demands such as the need for protectionism, which brought them into agreement with the large landowners in their struggle. The demands of the artisans were advanced clearly in numerous manifests and newspapers published in the period by organizations that were born and strengthened along the entire inter-Andean corridor. In fact, the artisans of the highlands considered it -with good reason- “their struggle” as well. It would be a mistake to think then that their presence in conservatism was the fruit of pure manipulation. In their confrontation with Liberalism, the conservative leadership used all the resources at their disposal to consolidate their support. In addition to religious motivations, regional and local interests and sentiments were unleashed against the secular state. Ousted from central power, conservatism became an expression of regional demands. Several of its most important figures became caudillos who expressed not only a political position but the regional identity of “my people”. The case of Colonel Vega in Azuay is the most memorable of all. The conservative notables, despite all this or perhaps because of all this, held firm to their unwritten but in-force agreement not to unleash the indigenous peasantry into the struggle. No one armed the indians. A century later, the fear of paying the cost of mobilizing them is still present. The cohesive element of the large-landowner alliances for the majority of the 19th century had been the State, into which the Ecclesiastical apparatus had been inserted. When the large-landowner movement was ousted from control of the State and the State broke with the Church, a new situation was created in the midst of which the confrontation of the State was the binder of the forces, grouped around the Church. This constituted, now more clearly than in the past, the axis of conservatism. Of course the Church defended also its interests as a landowner as it has so many times affirmed, but admittedly although this was spoken only on rare occasions, her fundamental interest in the struggle was the maintainence of her ideological influence and her interference in state politics. The clergy could lose their property but if they maintained their political and cultural force as well as their influence on the masses they would be able to replace them over time. Therefore rather than their estates, which otherwise were not so many as had been thought, nor were they all nationalized, their interest in the confrontation was the capacity for ideological manipulation zealously defended with the use of more extreme ‘spiritual weapons’ like excommunication. The Conservative Party or the Catholic party, as it was also called, was a landowner alliance confronting the liberal state which had the Church as its hub and the clergy as its most dynamic policy maker and activist. At first, after 1895, the fight was frontal with the most extremist bishops at the head. With the passage of time, an attitude of compromise prevailed as discussed in the following paragraphs. From the time of the eruption in Guayaquil on June 5th, the conservative leaders in whose hands the government of Quito remained, understood that negitiation was not possible and that they would have to maintain a long armed struggle against liberalism. Their priority was therefore the equipping of an army. This was financed from the use of available financial resources and grants and loans from institutions and private individuals. The bishops ordered the monasteries, canons, priests, convents, fraternities, funeral brotherhoods to deliver funds for the war chest. There was no alternative, according to the Archbishop of Quito, for “if the triumph be of radicalism or Masonic liberalism, this will overwhelm everything.” Alfaro however, defeated the conservative forces. These took refuge in Columbia and from there launched a series of invasions and attacks that lasted for almost seven years. The forces of the ‘Catholic Restoration’ concentrated on the Columbian border; they maintained themselves with help send from within the country by the Clergy and conservative notables, several of whom sustained a permanent insurrectional organization. M. A. González Páez, wrote a history of the conservative campaigns. He recounts how in the very year of the liberal triumph in 1895, various attempts had already been made to coordinate internal and external actions. A central committee was organized after a secret meeting at the Hacienda La Herreria, owned by Camilo Ponce, the leader of the terrorists. The resources obtained, however, were limited and the resistance could only be maintained thanks to the tolerance and help of the local authorities and central government of Columbia whose attitude was the counterweight of Don Eloy’s efforts to buttress the conspiracy of his ideological partisans in the north against the conservative government of Columbia. In the early years the conservative reaction opted for civil war without any attempt toward electoral participation. Confronted with this the governmental response was also violent. Newspapers were closed, close surveillance over the leaders was established and various clergymen were expelled, converted into the most outstanding and active figures of the opposition. Bishops and priests became the points of reference for the armed response. The most active of these was Peter Schumacher, a German missionary and intolerant extremist who had been Bishop of Portoviejo. He took refuge across the Colombian border, under the protection of the Bishop of Pasto, Ezequiel Moreno Diaz, who shared his extremist convictions. Schumacher was a man of great character, with a good sense of organization and enormous capacity to fight. He was the center of the revolt and its most aggressive ideologue. He was joined in 1897 the Bishop of Riobamba, Arsenio Andrade, who had already experienced conflict with the government in the time of Veintemilla. After the conservative uprising that culminated in the storming of the Jesuit Church of Riobamba, Alfaro ordered his expulsion. Hundreds of Ecuadorians in exile crossed the border to Columbia to join the fighters. P. Gaspar has confessed many and after exhorting them to defend valiantly the good cause has placed the scapular of the Sacred Hearts which they proudly flaunt on their chests and he has also given them a banner with a cross at the center and the inscription: “may your kingdom come to us”. In Columbia itself the people were excited and there were many who without being Ecuadorians departed also into battle. However among these latter the fundamental motivation was certainly not religious. They were mercenaries attracted by the possibility of theft and looting in the invaded regions of Ecuador. Terror spread by these pastusos robbed the conservative resistance of much support in in the north. They became so obvious that at one point one of the Columbian bishops warned the “Catholic Restorers” about the danger of recruiting mercenaries in Columbia. Inside the country, in addition to raising funds for the ‘restoration army’, the clergy devoted their efforts to an active campaign of organization and consolidation of the conservative forces. “The Prelates” says Loor, “tried to organize the ‘Catholic Action’ in the republic to defend the christian schools, politics and newspapers”. In 1897 they established centers in Guayaquil, Quito, Cuenca, Riobamba and other towns divided into religious sections for men and women. The ‘Catholic Action’ was one of the most efficient elements of the anti-liberal mobilization. Most opposition newspapers that appeared at the time were the result of their work. When the opportunity presented itself the conservatives launched an effort on the electoral front. In 1898 they managed to gain over ten parliamentary seats enabling them to block government projects in alliance with the moderates. They could not, however, stop the political and religioius reforms, particularly the Law of Patronage which aroused great resistance in ecclesiastical circles. However in the very opposition to the liberal program a different alternative was manifesting itself. While most of the bishops and clergy preached a holy war, Bishop Gonzalez -first alone and then accompanied by a minority- defended the need for a peaceful settlement and condemned violence. In late 1898 and early 1899 the conservative resistance made its best acheivements intent on the overthrow of the Liberal regime but the invasion from Columbia and the uprising in the center were defeated. No doubt one of the main causes for this was the great superiority in both numbers and equipment of the official army but it is evident that that the rebels did not find the popular support that they expected to generalize the movement. Furthermore within the very forces of the ‘Catholic Restoration’ the differences had not been overcome. The ranks of conservatives, according to a chronicler of the times, were undermined by the presence of the remnants of the supporters of the progressive movement. The relatives of Sarasti, according to Gonzalez Paez, intended to reach an agreement for the formation of a moderate government similar to the progressives. The interests of the ‘Society of Public Works of Guayaquil’ depended heavily on that outcome as they intended to supplant Harman in the Railroad Contracts. A new invasion was being prepared in Columbia in the year 1900. Then Gonzalez Suarez gave strong instructions to the clergy in a letter to his vicar Alejandro Pasquel: ‘Our priests must remain above any political party… To cooperate in one way or another with the Columbian invasion would be a crime against the Country and we the church ought never to sacrifice the Country to save the Religion. Pasquel responded in solidarity with his position and affirming: “It would be foolishness and sacriligious audacity to use religion as an instrument to achieve the triumph of a political party” …he emphasized that the clergy should stay out of politics and that they should furthermore be patriotic like Christ, “Patriot for excellence”. González Suarez’ letter caused a national scandal, becoming the most cited and reproduced controversial document of the time. The liberal press said that the Bishop of Ibarra had said was the country first, before religion. Clerical and conservative newspapers, meanwhile, attacked fiercely the prelate. From Colombia came the harshest attacks. “It is repugnant to good sense to believe that it is the work of a catholic Bishop that attempts with his words to formally contribute to the consolidation of the impious, the masonic and tyrannical government of Alfaro” …said a pamplet printed in Pasto. Schumacher, meanwhile avoided direct confrontation with another bishop, but released a controversial pamphlet against the response of the vicar, who he directly accused of being the instrument of Freemasonry. The pamplet said “‘Patriot for Excellence’ is a title that borders on blasphemy. No, never ought a priest to treat in that way the adorable Son of God; that expression is essentially liberal!” Their basic argument was that with conservatism being identified by the state with defense of the Church and attacked by the liberal regime, the clergy could not remain neutral. “The issue for Catholics is to make use of political union, to form a Catholic party, to deal with Masonic party, thereby achieving the triumph of religion”. It was an obligation to promote by every means inclusion of armed agression in the Catholic Cause. A contrary attitude would be tantamount to complicity. On the other hand, both Schumacher and the Ecuadorian migrants such as the Bishop of Pasto and the conservatives of Columbia argued that if the religion were in danger it was an obligation of the Catholics regardless of borders to fight to defend it. The principle of non-intervention, they said, was condemned by the Popes. The Columbian Conservatives disseminated this attitude affirming that “Charity knows no borders”. Gonzalez Suarez defended his views with great firmness. In the midst of the debate he produced his most agressive polemic work [“Cuestiones Palpitantes”]. The priests, he said should participate in Politics when this is the moral guide of the people but they are prohibited from committing to a particular party. In a word, they should not identify with conservatism, how much less with their military adventures. This attitude of neutrality, however, was not possible in practice, because liberalism was striving to bring about reforms affecting the church. Gonzalez Suarez was certainly aware of it and his attitude was a conscious policy of support of the government. Liberal leaders recognized and appreciated this always, even in public. A great quantity of reproductions of the famous letter were preceded by praise of González Suarez written by liberals who used it as a means of publicity. That same year, for example, with the complicity of the government, Gonzalez Suarez was the keynote speaker at the tribute to the remains of Sucre [ Antonio Jose Sucre; liberator of Ecuador ] in the Cathedral of Quito. The priests, in consideration of their origin and character, are strangers to political parties; they can not and should join any of them, they place themselves at peril of the Heavenly Father throwing them into outer darkness where Satan will devour them piecemeal. The Vatican itself which had supported the partizans of the Catholic Restoration with its policy of blocking negotiations with the government did not disavow Gonzalez Suarez. The Pope’s representative in Lima who was in charge of the affirs of Ecuador wrote to him, “I approve of the course of action outlined, that is to say, I approve a ban on cooperation with the Columbian invasion and the entire revolutionary movement.” This ambivalent attitude was not a contradiction but an ongoing practice of the Church in its policy of maintaining the unit while allowing the presence of opposing positions within. González Suárez became convinced that liberalism in Ecuador was irreversible, and therefore the validity of religious unity (thesis) was not as possible. He felt they had to accept the concept of a [Church-State] breakup, trying to get with it the best conditions for the Church. His efforts were directed, at creating an atmosphere for negotiation, without sacrificing issues of doctrine or principle. Hence, he strove to condemn the violence, keep the most aggressive religious elements at bay, and support the consolidation of the liberal regime. The impact of the attitude of Gonzalez Suarez, along with growing disagreements between migrants in Colombia, thwarted the invasion in 1900. By the end of that year, the danger had virtually disappeared. The subsequent government policy of Plaza made the option of armed resistance from conservatives lose validity. On the one hand, the possibility of Colombian support neutralized, working out to non-intervention, on the other, as seen, they concentrated the attack on the Church, offering all kinds of guarantees and even a share of political power to the conservative large landowners. Thus, the most extreme elements of the “Catholic Restorers” were isolated, while a tendency toward an approach and even a blending of the “moderates” was strengthened which was expressed in the presidential election of Garcia in 1905. The resistance of the “ultramontanists” had failed. This does not mean of course that these positions disappeared. They stood and still stand today within the extreme right in Ecuador. This entry was posted in Historical Survey. Bookmark the permalink.